Bovolo: a name that in Venetian means “snail”, perfect word that defines the most famous architecture of Venice attributed to Giovanni Candi. Like an anonymous shell contains a pearl, the Oratorio dei Crociferi preserves a pictorial unicum painted by Jacopo Palma il Giovane. 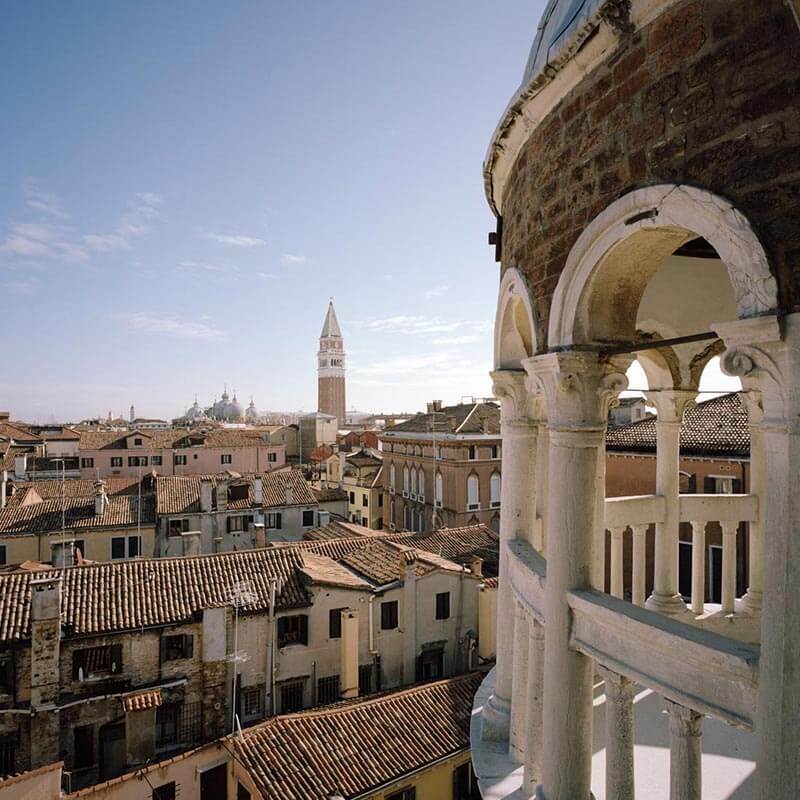 Designed by Andrea Palladio, it enjoys one of the most beautiful and privileged views of St. Mark’s Square. Church of Santa Maria dei Derelitti, Sardi’s Staircase and Courtyard of the Four Seasons, Hall of Music, all inside the same complex. 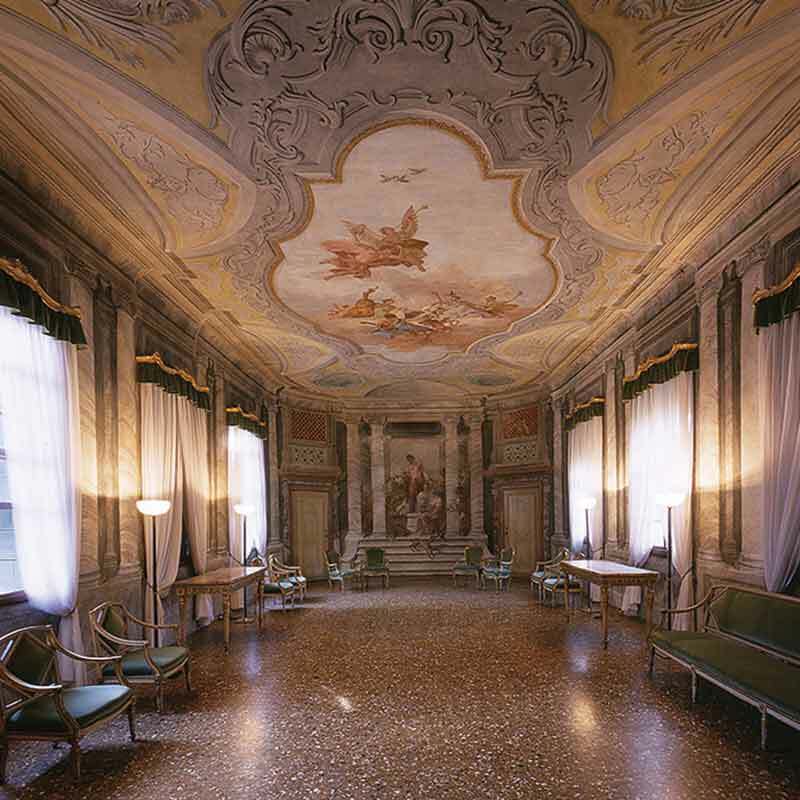 Created by Giorgio Massari, one of the most important architects of the XVIII century operating in Venice and in Veneto. Secret stairs, baroque architecture, ancient choirs: Hidden Jewels nearby St. Mark’ Square and Rialto Bridge. 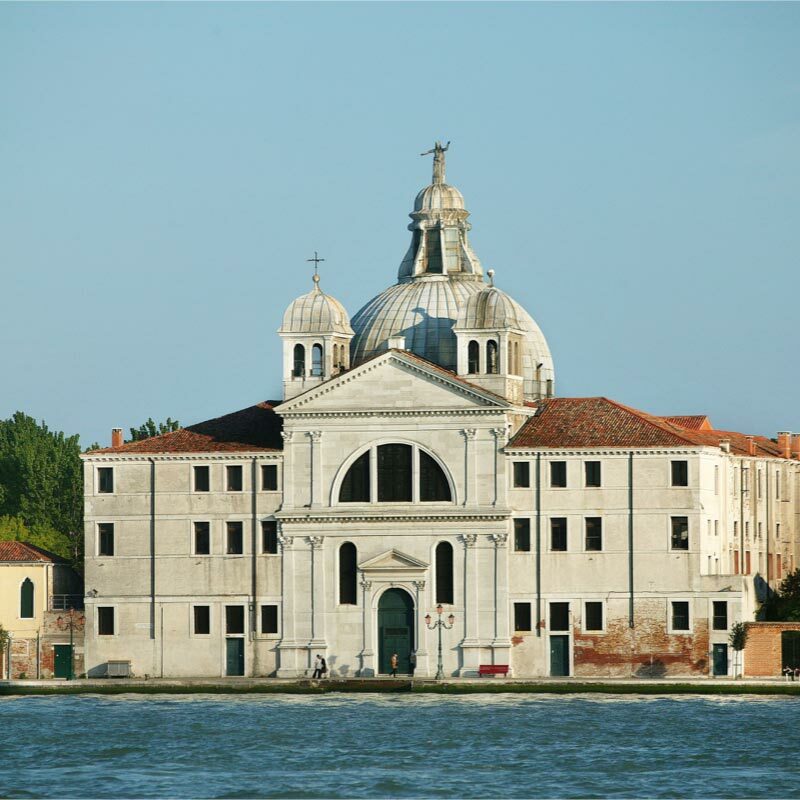 Choose the quickest way to visit the Hidden Jewels of Venice, reserve now your visit. Our scheduled events dedicated to different sectors, tourism and events, at national and international level. During the most famous Carnival in the world, you can have the opportunity to visit the Complesso dell’Ospedaletto and the Oratorio dei Crociferi! 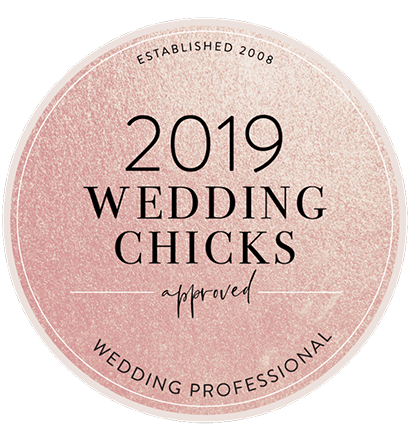 Plan the perfect wedding proposal! The Hidden Jewels of Venice and our staff are at your disposal to create a special atmosphere and to take care of every detail to perfection. 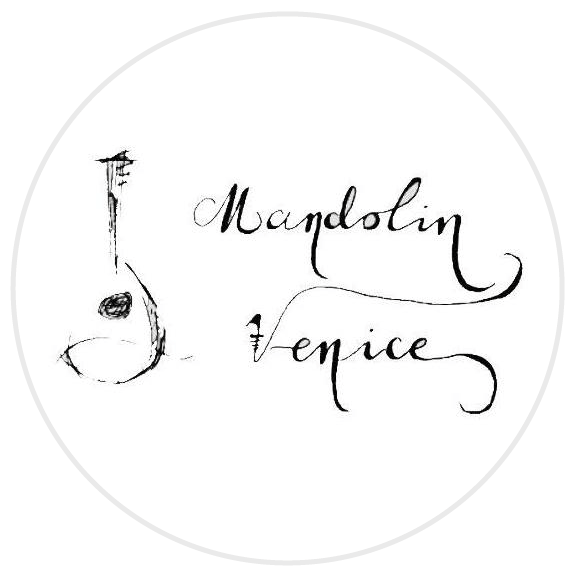 Live the unique experience of attending the Mandolin in Venice concerts organized in the awesome Scala Contarini del Bovolo! A unique experience that through real theatrical interpretations will revive characters who really lived, over the centuries, our prestigious Hidden Jewels of Venice. 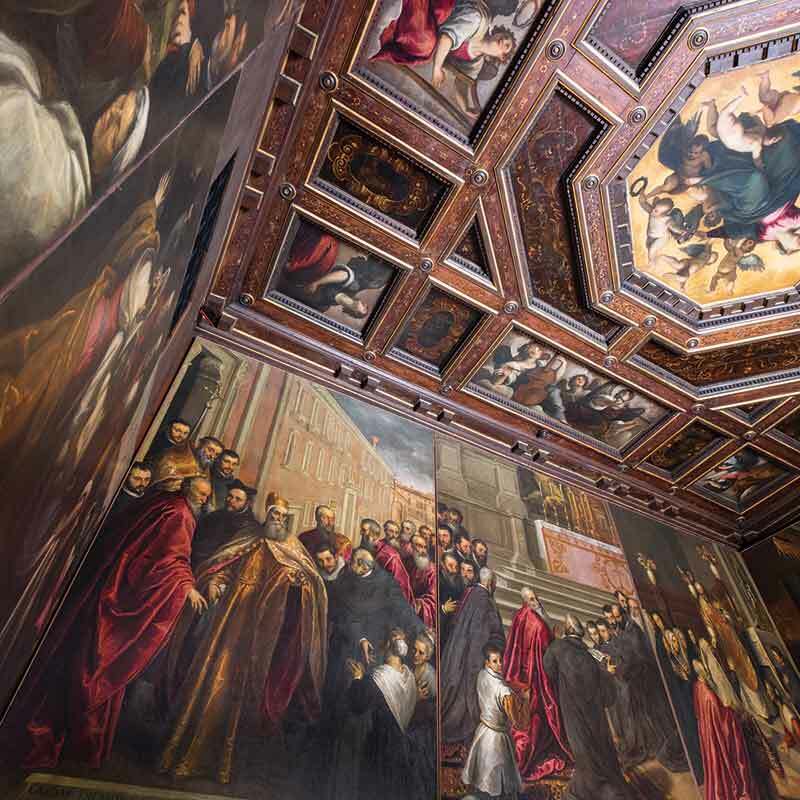 Start now your visual journey to discover the hidden treasures of Venice, masterpiece of our historic and cultural heritage. 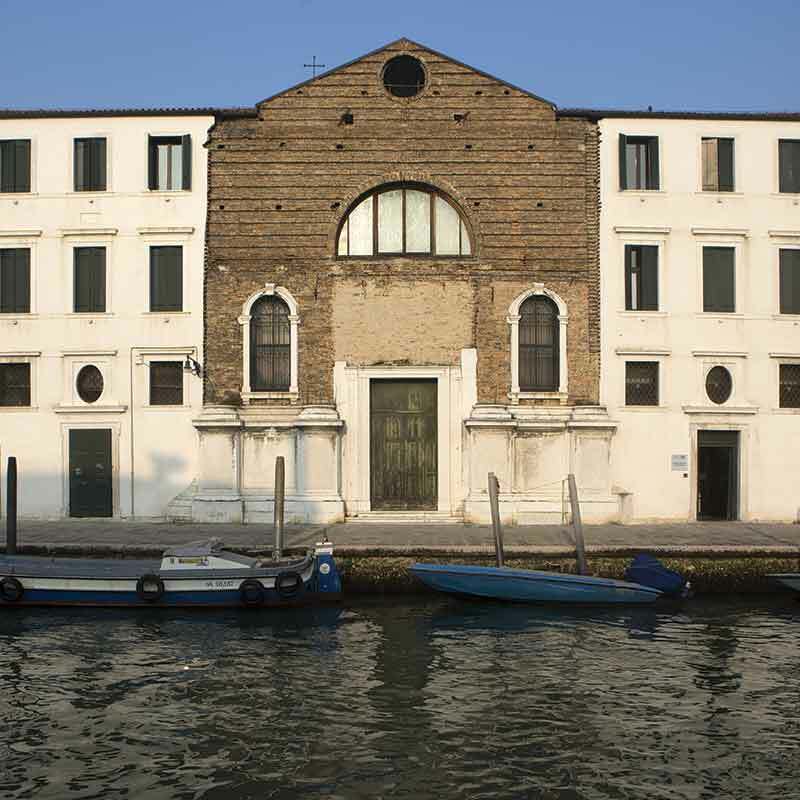 Keep in touch with the Hidden Jewels of Venice! Subscribe our newsletter to receive news and events updates.